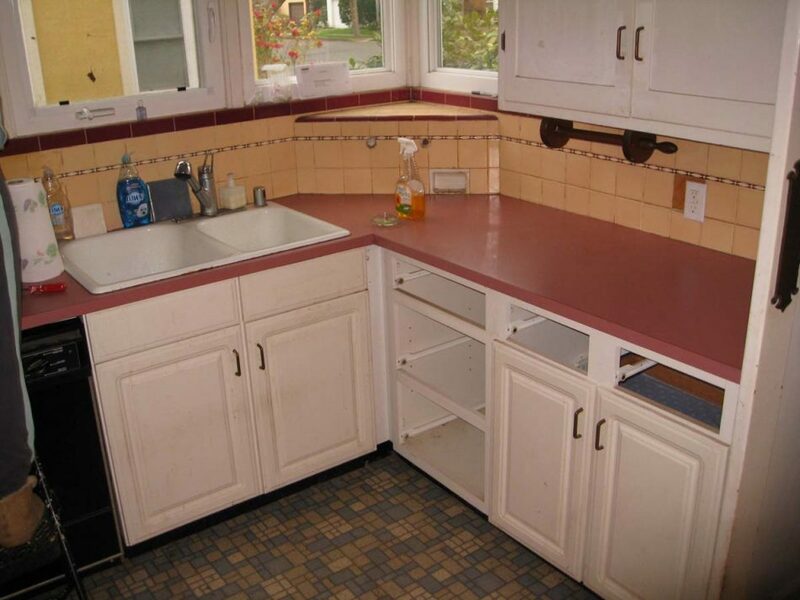 The homeowner of this early 1930’s house needed a kitchen remodel: The homeowner wanted a modern kitchen, without losing the feel of her 1930’s house. 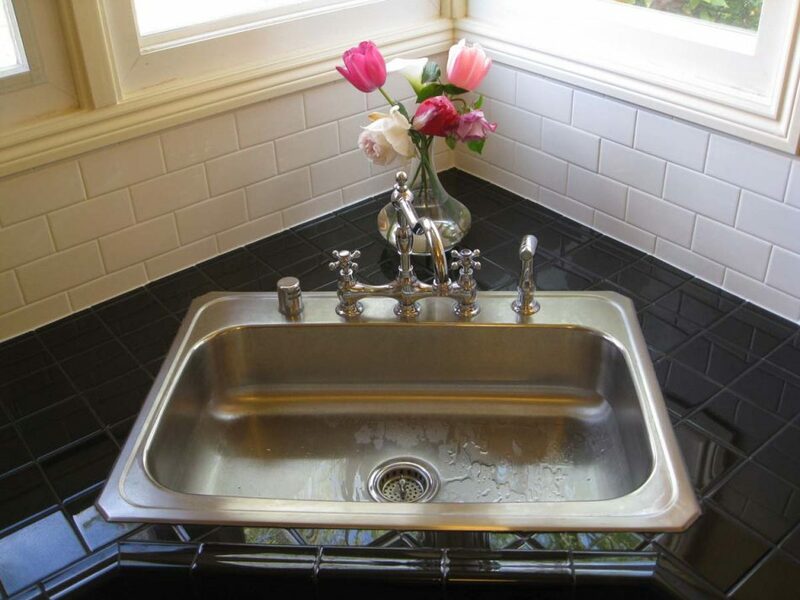 We added a stainless steel sink, with replica 30’s style bridge faucet. 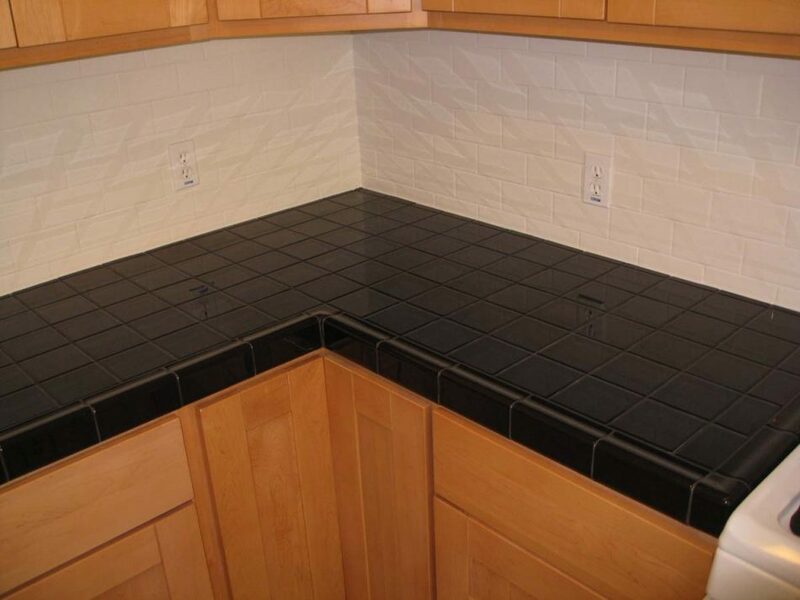 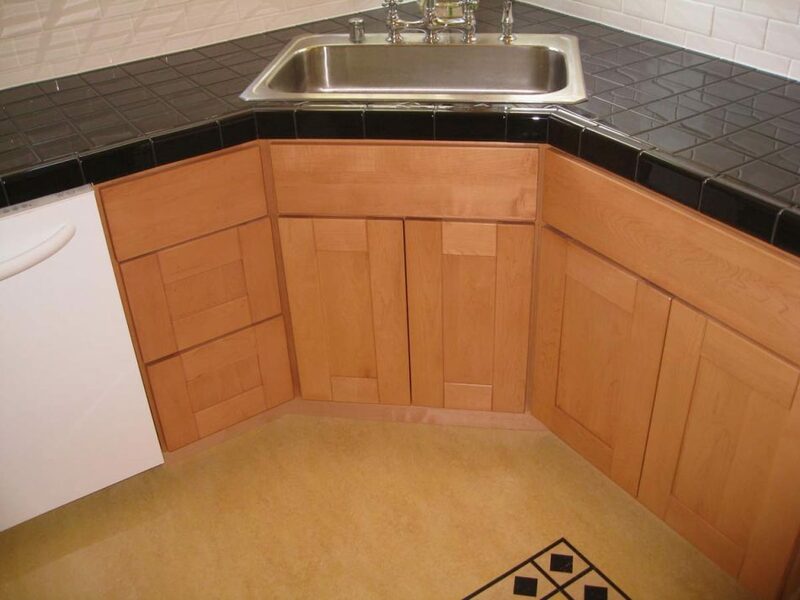 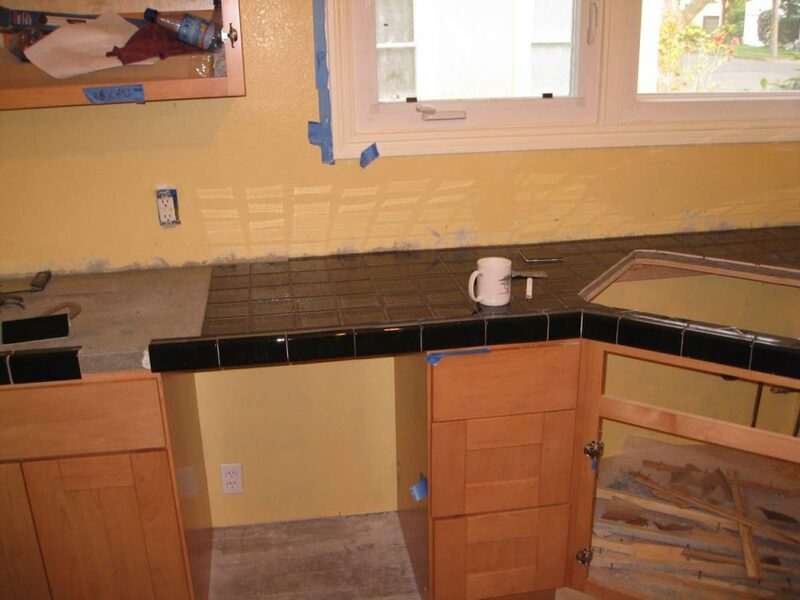 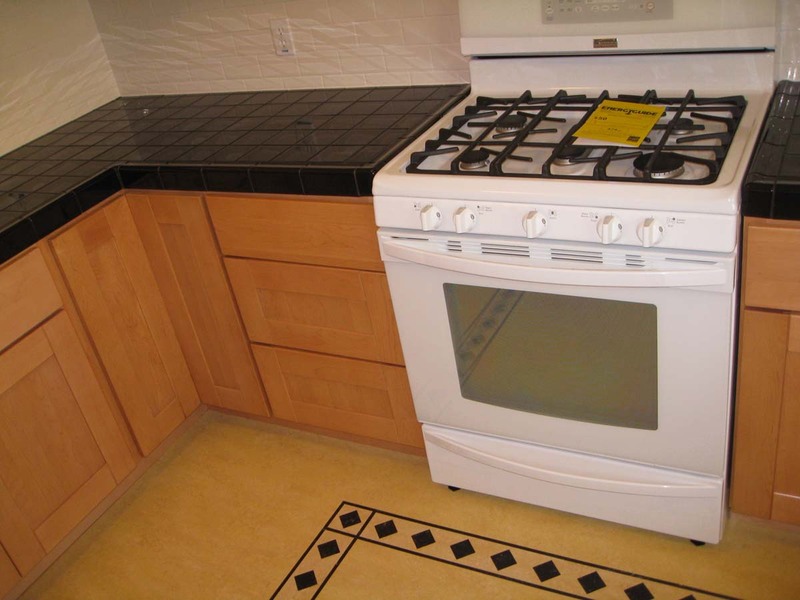 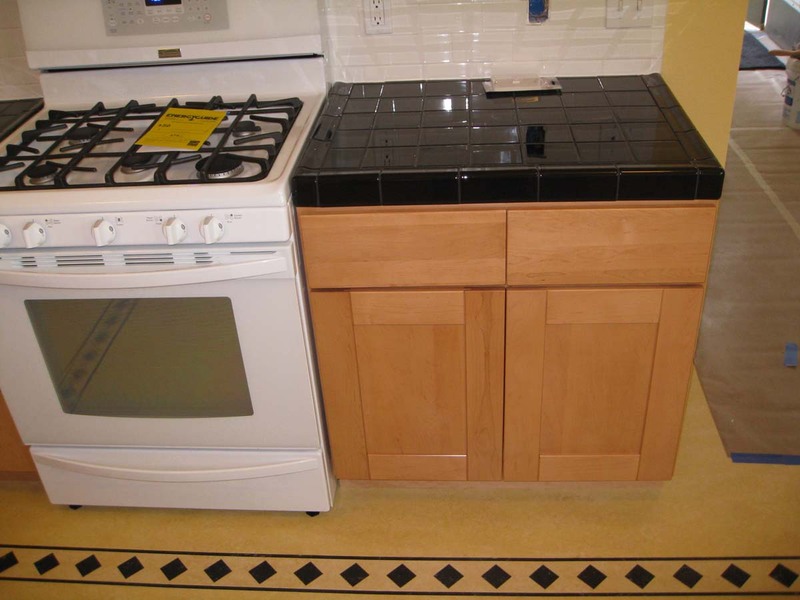 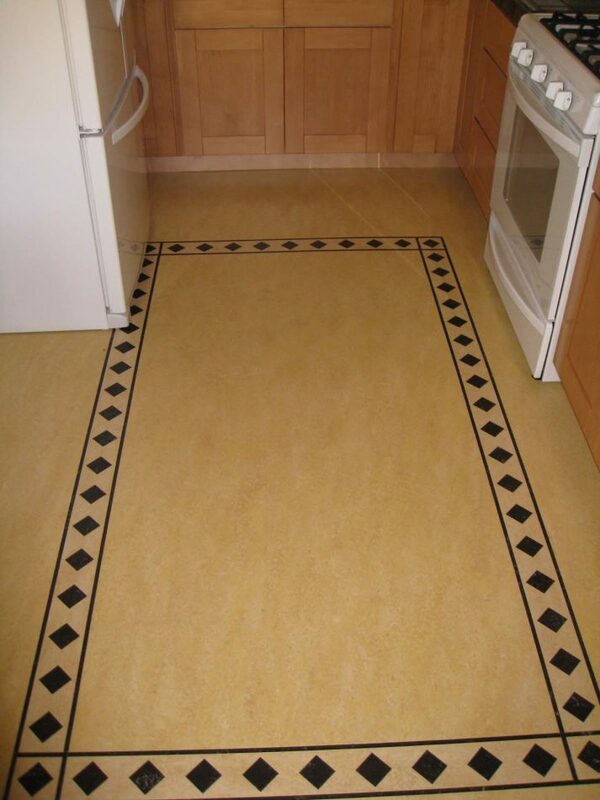 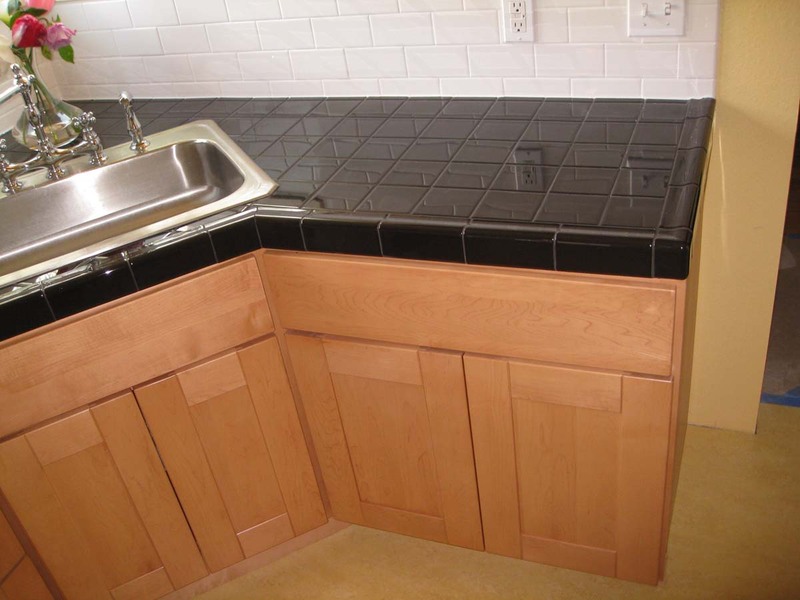 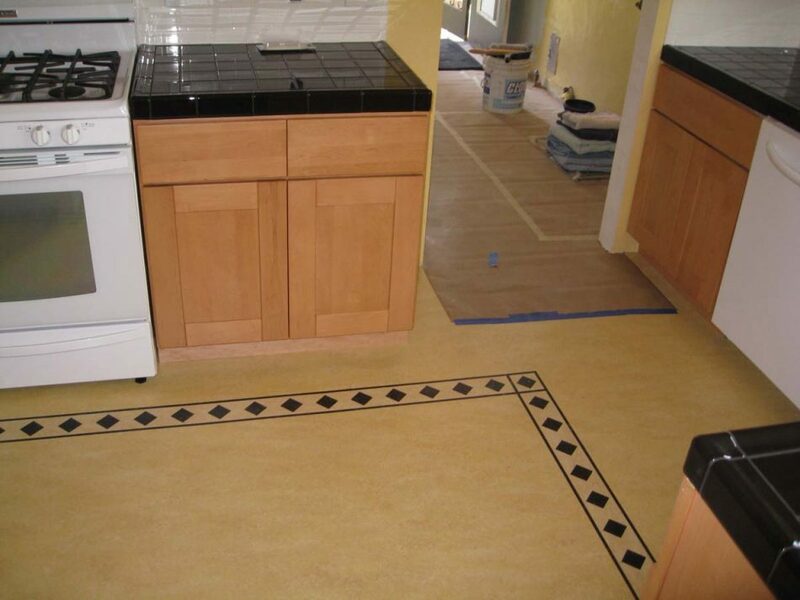 Black counter top tile, with white subway backsplash was popular in the 30’s and Shaker-Style cabinets were chosen because they were also popular in the 30’s. 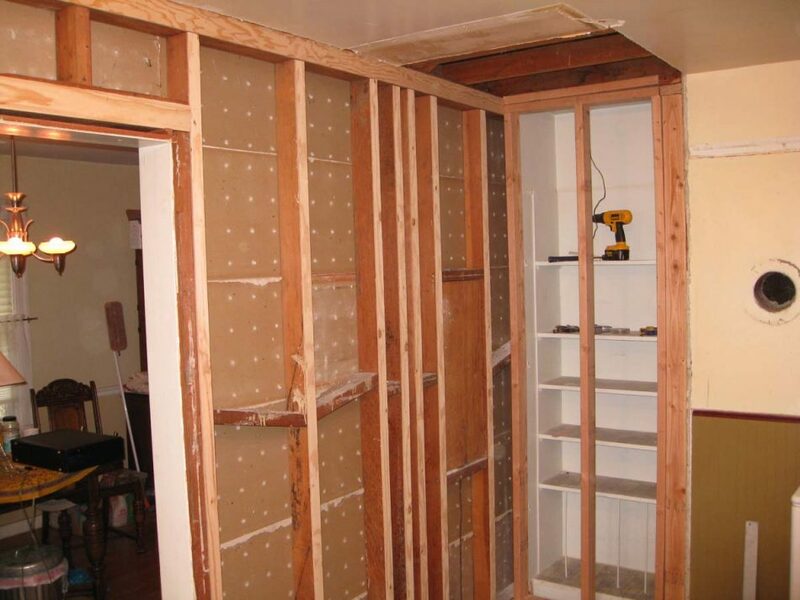 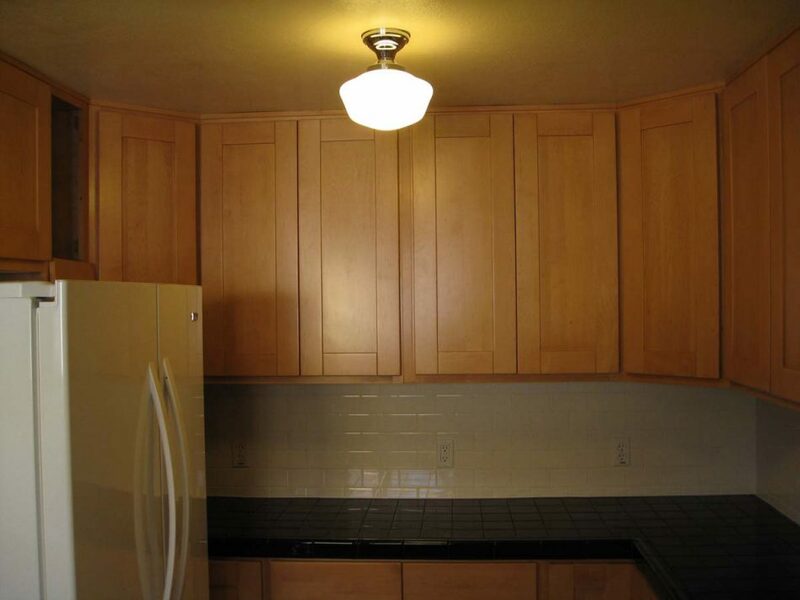 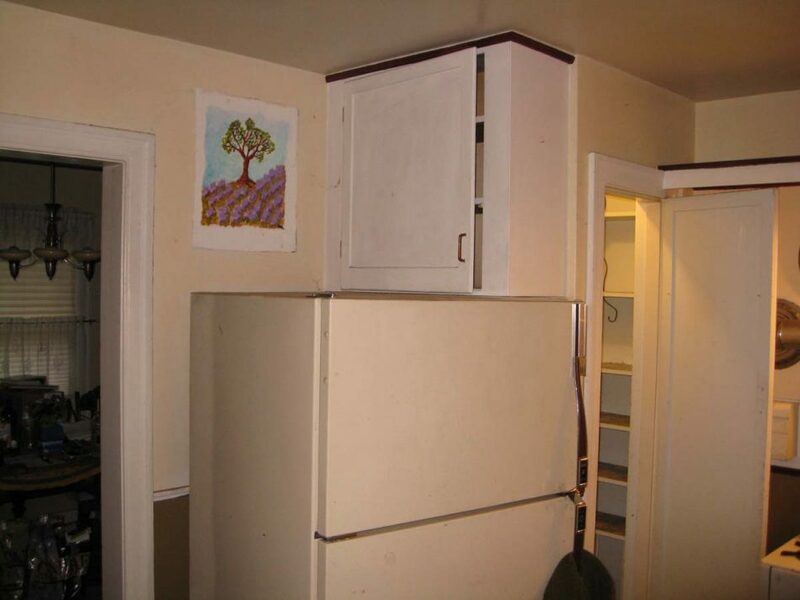 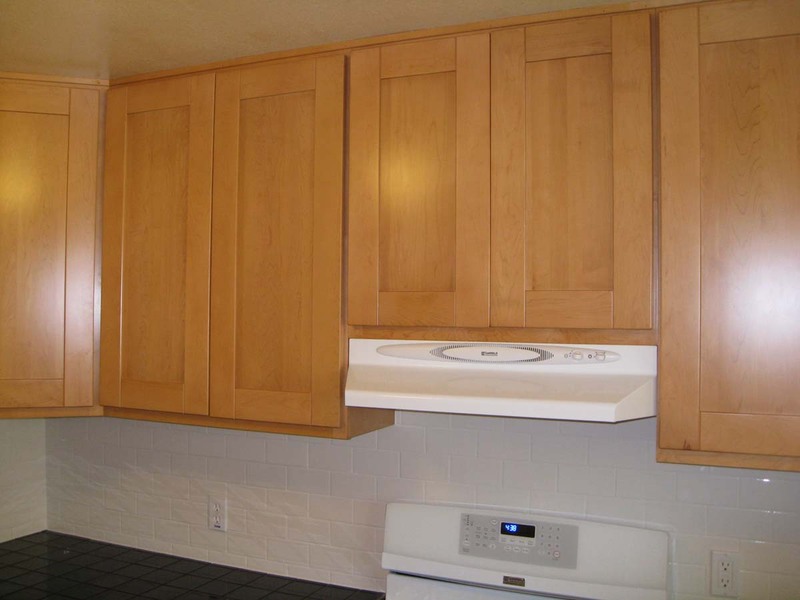 Difficult pantry, and cabinet to access. 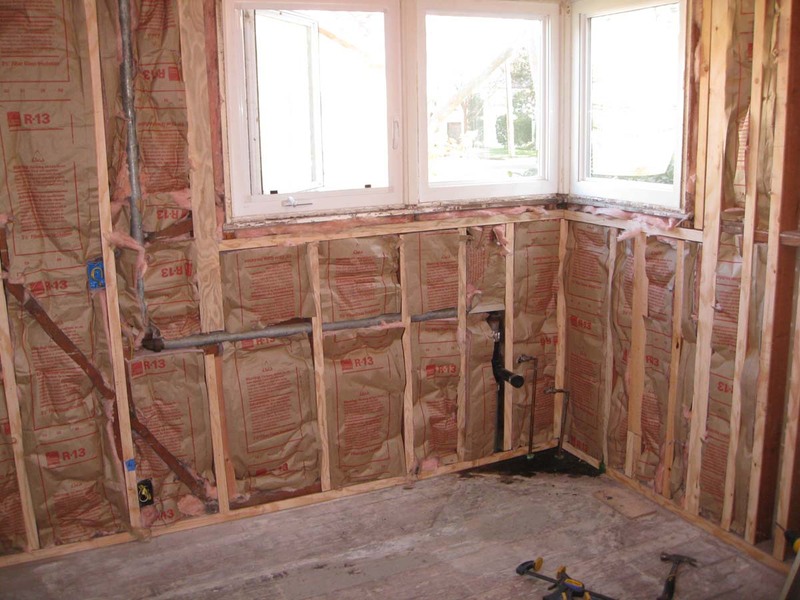 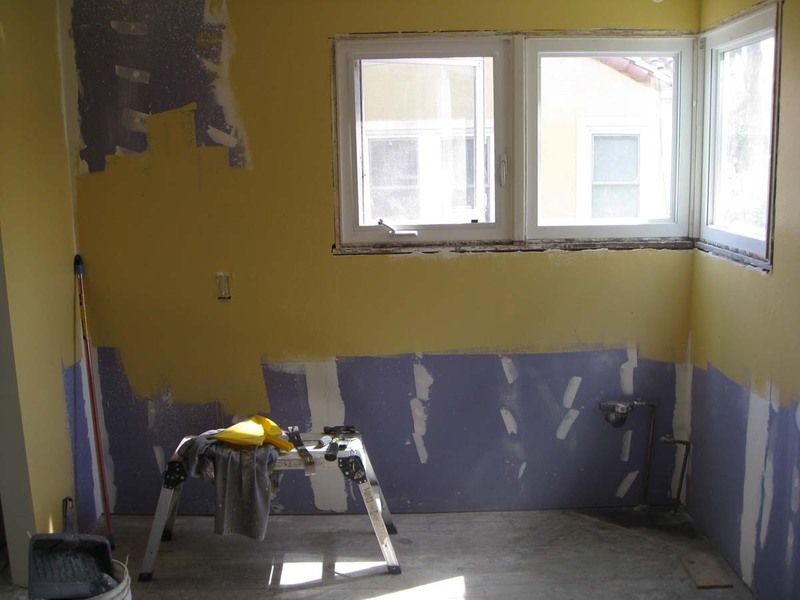 The old kitchen is gone. 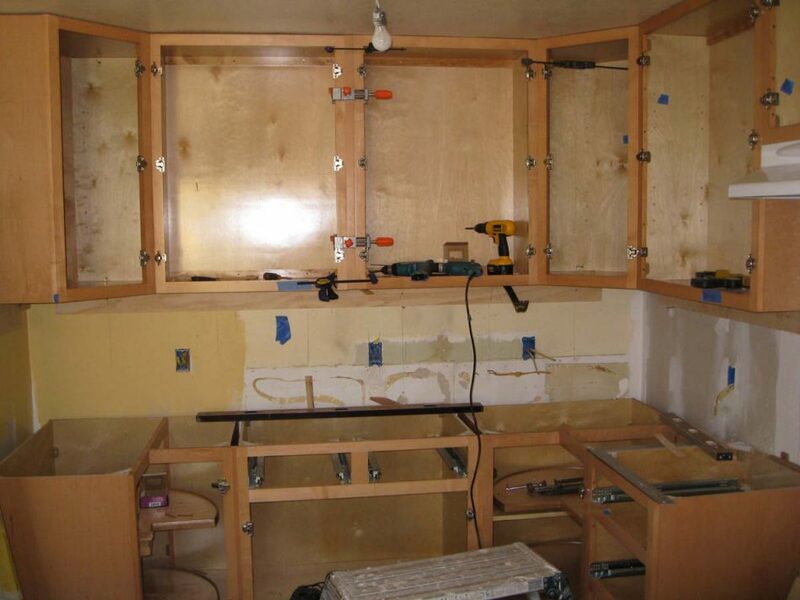 New cabinets are going in. 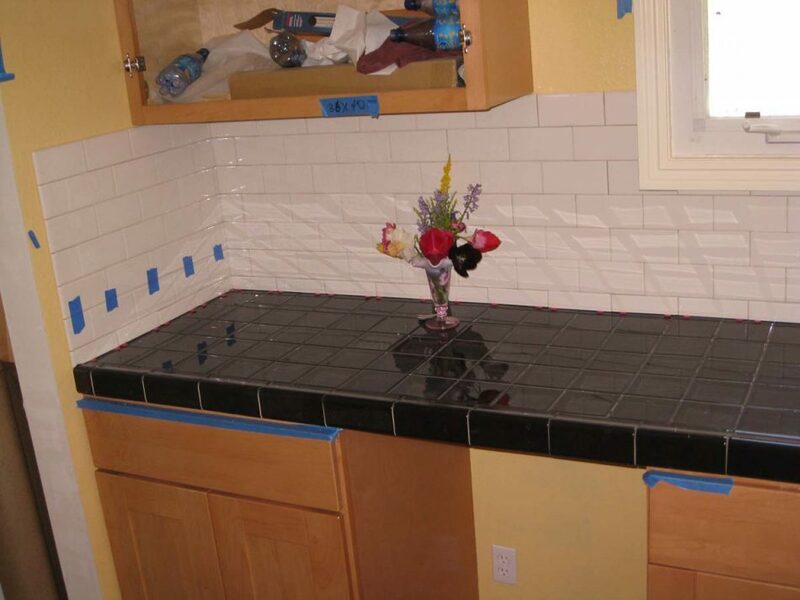 The new tile is being set. 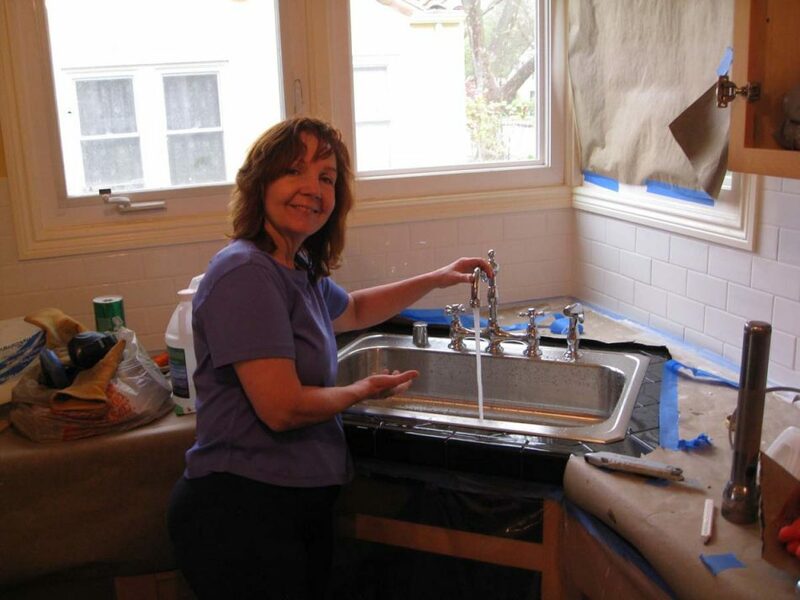 Sue the homeowner gets running water. 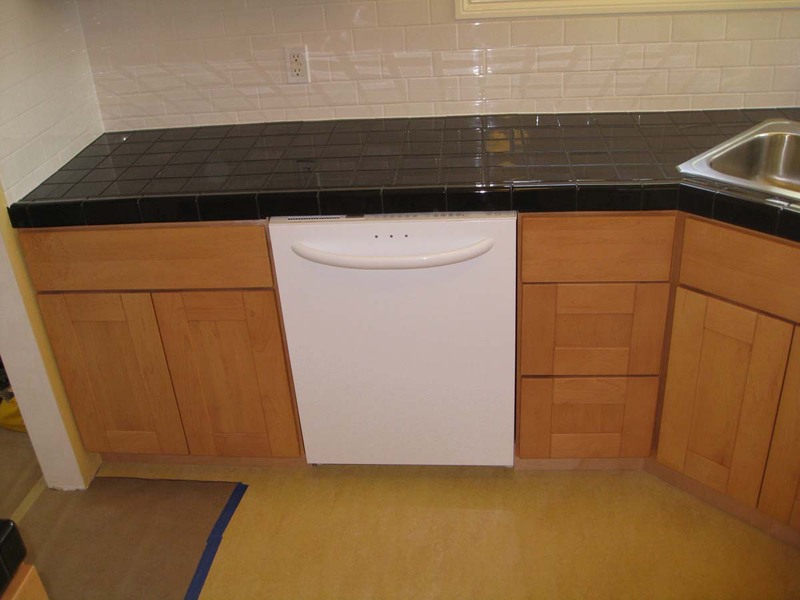 Shaker style cabinet were chosen because they were also popular in the 30's.